Harris County Sheriff’s Office deputies have arrested a man suspected of stabbing two people to death on Sunday in the 21000 block of Berrywood Bend Lane. Brian Bullock, 34, surrendered to authorities while deputies were investigating the incident. On Sunday, Nov. 11, at approximately 3 p.m., Sheriff’s Office deputies responded to a stabbing at 21035 Berrywood Bend Lane. Upon arrival, deputies found two victims, Michelle Bullock, 29, and Mark Keil, 56, dead outside the trailer. Both had suffered multiple stab wounds. 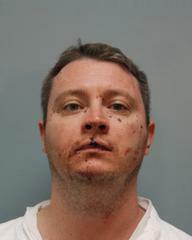 The Harris County District Attorney’s Office accepted a capital murder charge on Bullock.